When I think of the Galapagos Islands, Charles Darwin’s Theory of Evolution comes to mind, leading me to imagine giant tortoises, sea lions, penguins, etc amongst other out-of-this-world displays of animals. The Galapagos is really a bucket-list destination no doubt. Here are the best things to do in the Galapagos. El Chato Tortoise Reserve – El Chato is a natural reserve located in the highlands of Santa Cruz. It’s well known as the roaming grounds for the giant tortoises which cross the reserve on their permanent migrations from the coast to the highlands, making it one of the very few places to see these animals in their natural habitat. The highlands are also home to many bird species like Darwin finches or vermilion flycatchers, and the short-eared owl. Volcan Alcedo – Volcan Alcedo is in the center of Isabela (known as Albermarle Island). Volcan Alcedo is unique thanks to its flanks that are mantled by rhyolite pumice. Rhyoilte is a light-colored volcanic rock produced by fractional crystallization. The low iron content accounts for the light color compared to basalt and this volcano is probably one of the oldest on Isabela, and may in fact be in the final phase of its evolution. This may explain the unusual lava chemistry. Alcedo is also home to the largest population of giant tortoises in the islands. Maprae Museum – This museum is unique because it uses augmented reality to showcase 55 pre-Columbian artifacts. Enjoy the ancient cultures of Ecuador’s Amazon and coastal regions. All you have to do is point your smart phone at one of the relics and you will be able to see historical information and three-dimensional images pop up on your device directly. Charles Darwin Research Station – The CDRS is located in Puerto Ayora, Santa Cruz Island and is the operative branch of the Charles Darwin Foundation (CDF). 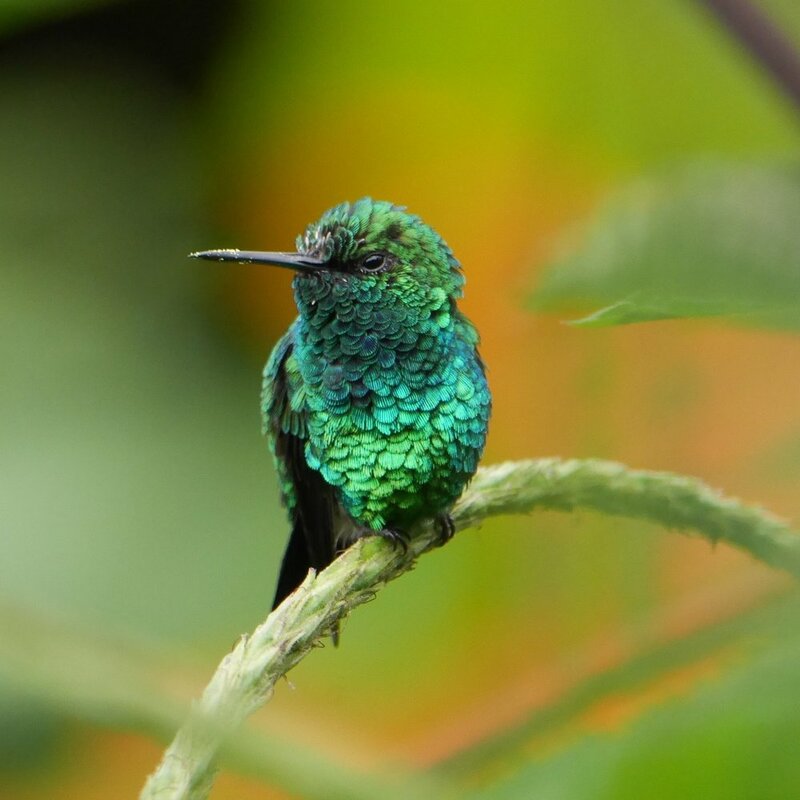 While this is a tourist destination, the Research Station provides scientific knowledge and technical advice to the Government of Ecuador to ensure the conservation of Galapagos. The main mission of the scientists working here is to provide professional input on conservation efforts in the islands. The captive breeding program for giant tortoises is one of the key programs at this center. Visitors can see baby tortoises in semi-captive conditions and many that are about four or five years of age ready to be repatriated to their home islands. ﻿Puerto Egas – Puerto Egas is one of the sites of Santiago Island. The name is derived from the salt mining efforts undertaken in the 1920’s. However, the salt mining was not successful as the transportation costs of the salt made the enterprise unsuccessful. Today, the salt-lake crater is home to white-cheeked pintails and the occasional flamingo. You can swim or snorkel in the beach and this is a great place to observe shorebirds looking for food during low tides. A short trail will take you to a rocky area from where you can see fur seals and sea lions. Tortuga Bay – Tortuga Bay is one of the most accessible places to visit the Galapagos without a guide. Tortuga Bay has a white sand beach and turquoise waters where you can see small lava lizards, yellow Galapagos Flycatchers, the singing Galapagos Mockingbirds, Blue Footed Boobies, and pre-historic Marine Iguanas. Puerto Ayora is the jumping off point for Tortuga Bay and while in town you can stroll throughout the docks, pier and the town center and also visit the Charles Darwin Research Station. Cerro Brujo -Cerro Brujo is on the northern coast of the San Cristobal Island. The trail to visit this place takes about three hours and accessible only by tour boat. Cerro Brujo is an excellent place to observe marine birds, and a great landscape from which you can see Leon Dormido, the south of the highest part of San Cristobal, and the adjacent coast. Two halophyte species grow here in soils that are rich in salt. Some of the activities include hiking, snorkeling, swimming, photography and filming. Rancho Primicias – Rancho Primicias is a giant Tortoise ranch. This might be one of the most iconic animals in the Galapagos. The Galapagos tortoise is the largest of the living tortoise species. They can weigh over 880 pounds and grow to be about 5.9 ft long. Currently there are 10 species of Galapagos tortoises. 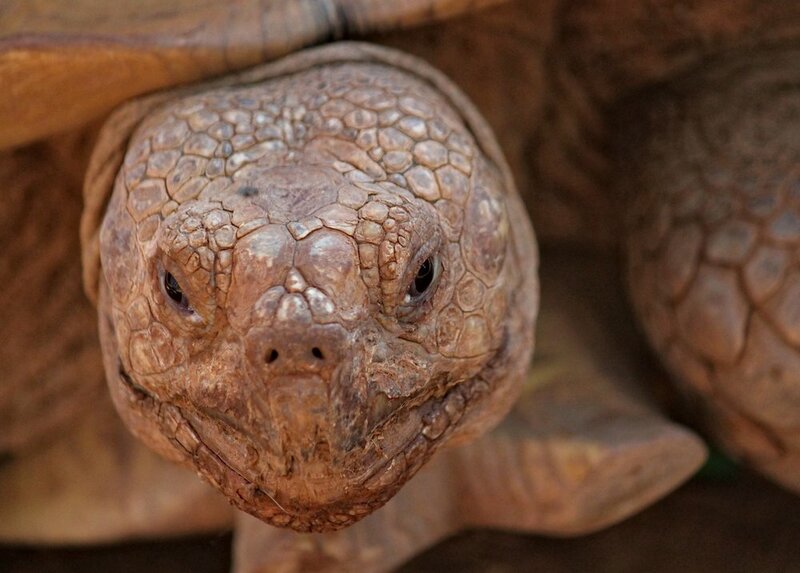 The life span of these tortoises is over 100 years old. The oldest known Galapagos tortoise in the Australia Zoo reached an estimated age of 170 years old and these tortoises are considered threatened/vulnerable by the International Union for Conservation of Nature. Punta Espinosa – Punta Espinosa is located on Fernandina in the Galapagos Islands and is home to one of the largest marine iguana colonies of the archipelago. The unique aspect of Fernandina is that no animals have been introduced here, helping it to maintain an intact ecosystem. Punta Espinosa has the highest population density for marine Iguanas, and also sea lions, flightless cormorants, penguins and Sally Lightfoot crabs. At low tide you can see turtles, and spotted eagle rays while octopus and damselfish can be found in tide pools. Penguins, sea turtles, flightless cormorants and marine iguanas make snorkeling amazing on these islands. Leon Dormido – Kicker Rock or Leon Dormido is named because of its resemblance to a sleeping lion. Imagine a vertical, sheer-walled tuff cone eroded in half where smaller boats sail between the two rocks – that’s Leon Dormido. There really isn’t a landing spot so you can usually see this from a boat or from the top of Cerro de las Tijeretas especially at sunset. Day trips are usually the most popular way to visit this spot.